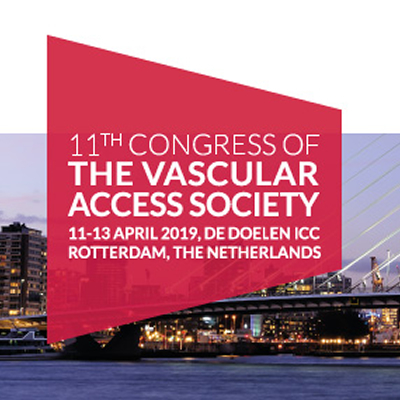 We would like to welcome exhibitors of the 11th congress of the Vascular Access Society, which will take place in Rotterdam, the Netherlands, on 11-13 april 2019 to this website. To make preparation for your participation easier, we created an online manual, which can be accessed by clicking this link, or the logo below. This secured section of our website includes order forms for services such as; mains power supplies, rental stand equipment and graphics. If you can not find the specific information you are looking for, please contact our specialized project team. They are happy to assist you and will answer all your questions.